It’s been a busy few months in Coffee Bay with us here at Sustainable Coffee Bay working hard to improve opportunities for our rural community and increase the number of people we reach. And of course, the positive impact we try to make, one person at a time! 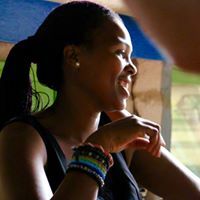 Vuya, one of our graduates of the South African College of Tourism working at Coffee Shack Backpackers. She makes the best coffee! A huge thank you to Elena van Doorn for her professional journalism services she volunteered to us for the last couple of months. We have some great new films on our work here.. watch this space as they are nearly ready for their first viewing! In education news, our pre-school, Ikhaya Labantwana Montessori continues to go from strength to strength and we have recently appointed a new assistant who will be studying for her teaching qualification next year. We still have some children in need of sponsorship to cover the costs of two nutritious meals a day, all learning materials and qualified teachers. You will receive termly news and photos of your sponsored child and are welcome to visit the school by prior arrangement. Learn more here. 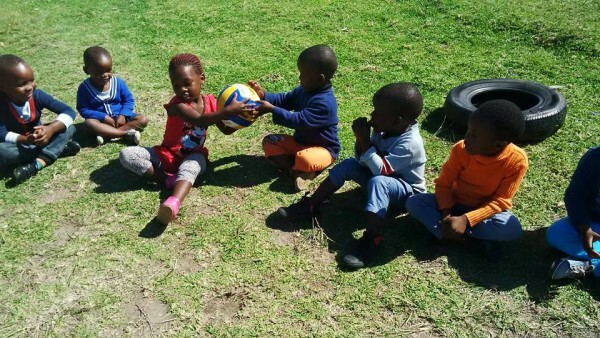 Learning ball skills at Ikhaya Labantwana Montessori. 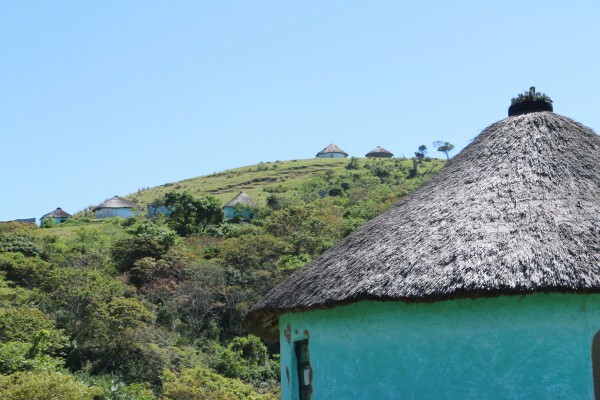 Just a reminder that despite the beauty of our location on the Wild Coast of South Africa, it is not without its problems. The biggest income earner is government grants, followed by tourism. Jobs are in short supply, with over 50% of the population unemployed. Our focus is to increase access to a productive working life through education, skills development and training and create channels of opportunity in this information-poor rural area. Our nearest town is over 1 hour’s drive away meaning that banks, government services, supermarkets etc. are also far away. There is no popping to the shops; it’s always a long way to go and sometimes out of reach for those that don’t have, or can’t afford transport. In collaboration with First Children we are in the planning stages of more teacher training starting next year so that more community members qualify in Early Childhood Development. Not only does this increase skills and employment in the area, but benefits large numbers of children who are then able to attend pre-school… vital in the development of young brains! If you are interested in donating towards this great opportunity to ultimately skill and employ someone dedicated to children, please do contact us. 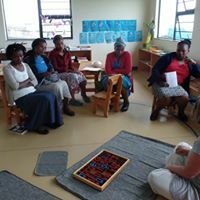 Refresher training and mentoring with Montessori teachers from Ikhaya Labantwana and other pre-schools in the area. Our partnerships with other organisations are continuing well and we hope to enrol 2 new students on our high school scholarship programme starting next year. We have 3 already that will be starting Grade 12 next year (last year of school) and 2 that matriculate this year and are eagerly awaiting their results to see if they got a place at university! We wish them all the best! Again we are in need of sponsors for this scholarship programme, and will be Crowdfunding shortly.. we’d love if you could spare a few Rand, Euro, Pounds or Dollars to help a child here complete school, and ultimately improve their future prospects. We also welcome you to visit us here in Coffee Bay and meet the student and build a relationship with them, safe in the knowledge that your funds go directly to the child. Year of 2015 graduate from our high school scholarship programme, Lastborn outside his home. He now studies Accounting at Walter Sisulu University. Through our partnerships with education providers, our four students who attended the prestigious South African College of Tourism and Tracker Academy have all graduated. Two are already in employment and the other two have job offers on the table, due to start in the next few weeks… exciting times and good luck from all of us! We’ve found that a lack of driving license has really set back the number of opportunities to find work, especially for our Trackers who are experts in Wildlife, Conservation and Anti-Poaching. We’d love to be able to sponsor their lessons and test, so if anyone is keen to open new doors for these dedicated young men, please get in touch. 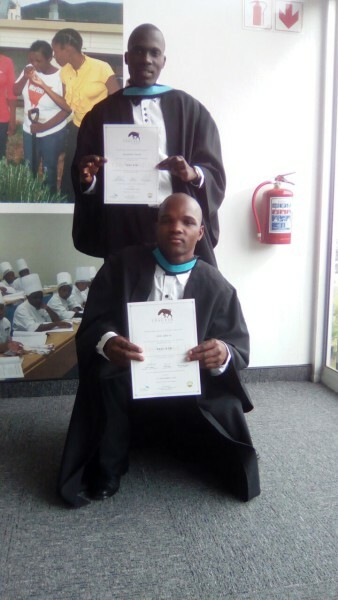 Yongama (back) and Sihle (front), our 2016 graduates from the Tracker Academy. 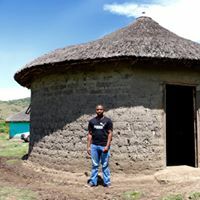 Our doors, ears and emails are always open to enquiries or questions, so if you would like to learn more about life in a small rural African village, the challenges local communities face, or how we use your donation, then we’d love to hear from you and answer any question you may have. So for now, we wish you all the best for a festive season and hope you may consider donating to Sustainable Coffee Bay so we can change the world one person at a time and really help someone to have a Happy New Year! A great update! Well done SCB for putting this together so readably and encouraging all to participate and contribute!